Building energy efficient homes is by no means a new concept. But the bar was raised in 2018, when California passed a mandate requiring all new homes to have solar power beginning in 2020. While the rule is in effect just in that state, it could influence other areas. Take Seattle for example. This progressive northwest city has developed Built Green, a nonprofit program with a mission to become the driving force for environmentally friendly design, construction and remodeling. Despite strict requirements for certifications and checklists, there has been about a three-times increase in the number of Built Green certified projects. It’s evident that this is the direction the housing market is going, in part because energy efficient homes are a must-have for millennials, the generation that makes up the largest percentage of homebuyers in the country. 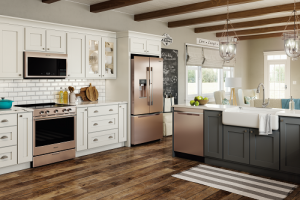 The U.S. Green Building Council reported that millennials interact with their homes differently than past generations and expect their homes to make it easy for them to live sustainably. The requirement of solar photovoltaic systems on new homes is a key part of the recent California mandate. Across the country, solar is becoming increasingly popular because of its energy saving benefits. In fact, over the last decade, solar has experienced an average growth rate of more than 50 percent per year. Solar adds an upfront expense to the overall cost of a home, but it could lower utility bills by as much as $80 per month and ultimately increase home value. 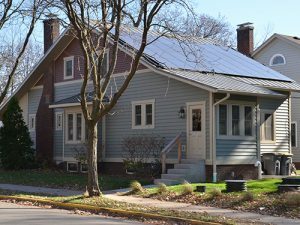 Whirlpool Corporation, for instance, installed solar panels on its Retrofitted Net-zero Energy Water & Waste (ReNEWW) home, which was originally built in 1928 on Purdue University’s campus. There was a 94 percent energy reduction with the installation of the solar panels, compared to 81 percent without. Water conservation is sometimes overlooked in home design, but it’s becoming more important due to limited water availability in some parts of the country. According to Freedonia Focus Reports, U.S. water withdrawal is expected to total 122 trillion gallons by 2022 due to population growth, an increase in electricity generation and more. With the above methods implemented, residents in the ReNEWW home consumed about 21 gallons per person, per day. This is a remarkable 75 percent reduction in water usage from the average 91 gallons of water per day. Saving on the green is an important byproduct of homeowners who insist on green homes. That’s why it’s important to be upfront about costs and let homeowners know that they don’t have to sacrifice their wallet for sustainability and vice versa. One of the ways to do that is to promote the Home Energy Rating System (HERS) Index, a home energy inspection and rating method developed by the Residential Energy Services Network (RESNET). 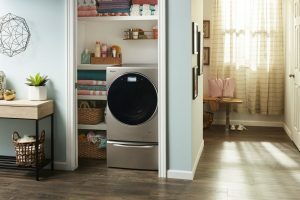 Other ways to ensure energy efficiency and longer-term cost savings include installation of ENERGY STAR appliances. 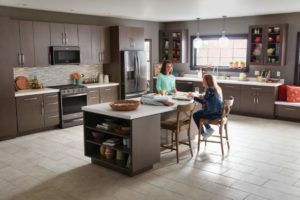 They might have a higher price tag up front, but those appliances can save 10-50 percent compared with conventional models and even more when compared to older models. Building industry professionals who effectively market energy efficiency to consumers — educating them on cost benefits, energy savings and how sustainable measures can make their lives better — will reap the benefits.